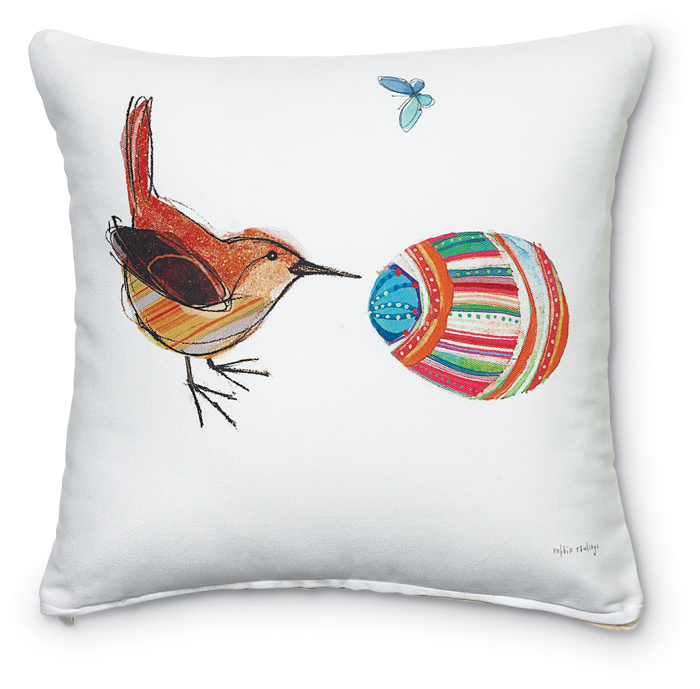 Designed by Robbin Rawlings, our wren with Easter egg pillow is suitable for indoor and outdoor use. 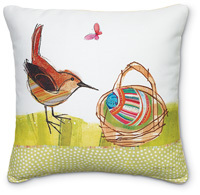 The art is hand printed on 100% polyester fabric that feels like cotton. It is fade-, mildew- and weather-resistant. Polyfill insert. Formerly $58, now 40% off.